I had an interesting media roundtable meeting with Birst, the cloud-based business analytics company that recently raised $65 million in a Series F, and a total of $156 million. Major VC firms such as Sequoia Capital and Hummer Winblad, are backing the company as it seeks new customers and battles for a dominant position in cloud-based analytics. Jay Larson, CEO (above) is 25-year industry veteran of SAP, Oracle, SuccessFactors, and Jive Software. He says the business opportunities for Birst are extraordinary. Larson said there's a $15 billion market opportunity in displacing the 25 year old legacy business intelligence applications that many enterprises are still using. I pointed out that there's many companies now offering business intelligence solutions and services. All the "Big Data" software companies are essentially talking about business analytics. So how do you stand out? Larson said that Birst's analytics are far superior to the competition. But every company says that about itself, and it's not something that can be easily checked by a potential customer. One key area where Birst looks to have an important advantage is in its abilities to access clean data. Birst can take many types of complex data sets and combine them to produce analysis of thousands of factors and spot patterns that are significant to large companies. The challenge of "Big Data" and the coming Internet of Things tsunami of sensor data, is how to make all that data usable, relevant, and analyzable. It's a very difficult challenge especially when dealing with application data. Larson says Birst is able to pull out the right data and do it in real-time. But there is no need to translate data into new databases, its technologies sit on top of the client's data and can run a complex business analysis in real-time. I also spoke with Birst founder Brad Peters, Chairman and Chief Product Officer. Peters said after he graduated as an economist, his first job was on Wall Street. This was in the early mid-1990s when M&A was big business, especially at Morgan Stanley. He and his colleagues were expected to be able to create an M&A financial spreadsheet model in less than three minutes, in order to analyze the benefits of potential mergers. Rolling up industry sectors into giant companies was a huge business. Peters says everyone worked insanely long hours, 100 plus hour work weeks were normal. He managed to find ways to automate some of the financial analysis and financial models that were key to Morgan Stanley winning lucrative M&A business deals. But he says his bosses liked to do things the traditional way — such as double-checking financial information by hand using calculators. They would insist that a human check key financial figures by hand believing computers were more error prone than humans. He says he was unable to persuade his bosses to adopt technologies that would have improved financial accuracy and enabled faster analysis of complex mergers. 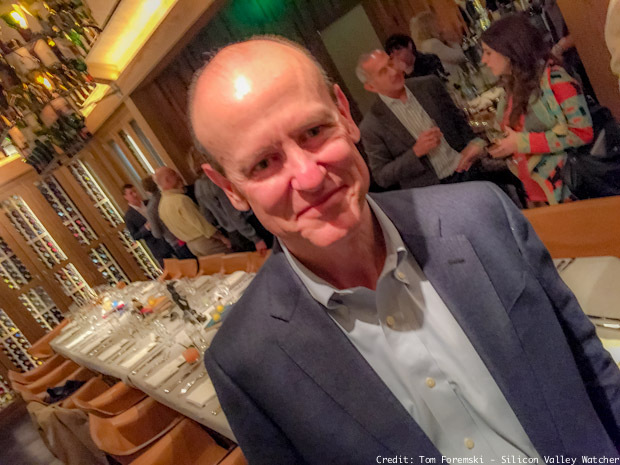 From those experiences at Wall Street, and later, leading the analytics product line at Siebel Systems and Oracle, he developed the core ideas for Birst, founding the company in 2005. Peters spoke about the importance of data sources and how it is very important to know the data and its quality. Application data can be very complex and in today's app-driven world it is vital for companies to be able to harness that data. Software engineers have a saying, "Garbage in — garbage out." I told Peters I often use that saying because it applies to the decline in the media sector and the increasing amount of poorly researched, low quality reporting that we see everywhere. I often warn people that if we continue to have "garbage media" then we won't be able to make the right, informed decisions about many important subjects such as energy, the economy, environment, education, elder healthcare — and that's just the issues that begin with the letter"e"! Birst is focused on ensuring it can access high quality data because it's the only way the business analytics can be trusted. Peters says Birst is able to identify correlations between data that would be missed by other analytics packages, and present that information in a visual format that makes it easy to understand. And no specialist programmers are needed to create the analysis. 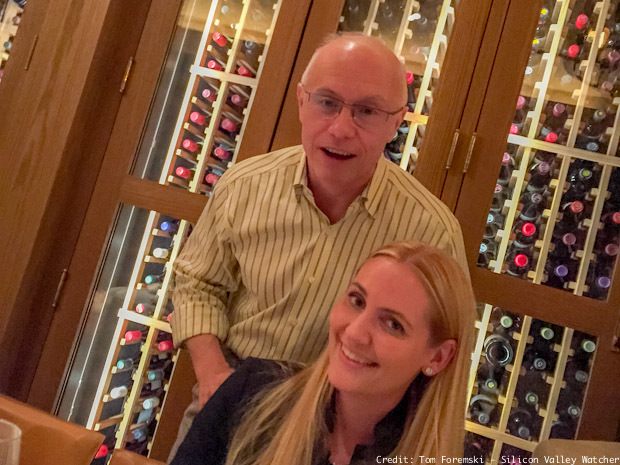 Below: Doug Leone, Managing Director of Sequoia Capital, is a Birst board member.